Want to extend your stay in Newport Beach Race weekend and enjoy some extra fun in the sun with your teammates? Are you not a morning person and would rather sleep in a bit more on Race Day? Gather your friends and family and make it a fun stay for all. The Newport Beach Marriott Hotel & Spa is a proud supporter of the Komen Orange County Race for the Cure and is offering a special rate to all of our Race participants. The Marriott Newport Beach located at 900 Newport Center Drive in Newport Beach is providing a special room rate of $179 per night on the weekend of the Komen Orange County Race for the Cure if you reserve before Friday, 9/2/16. Be sure to mention Komen Orange County Race for the Cure when reserving your stay. Call 1-800-228-9290 or 949-640-4000. 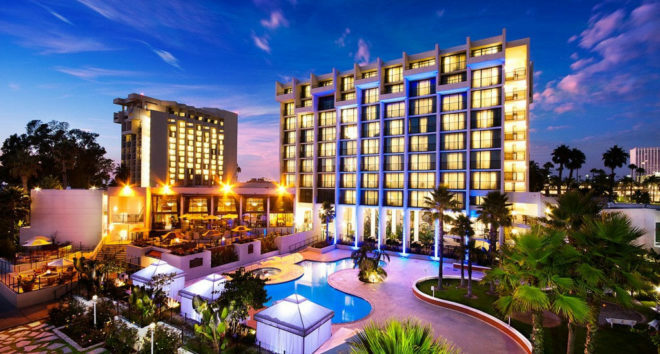 Visit the Newport Beach Marriott Hotel & Spa website.